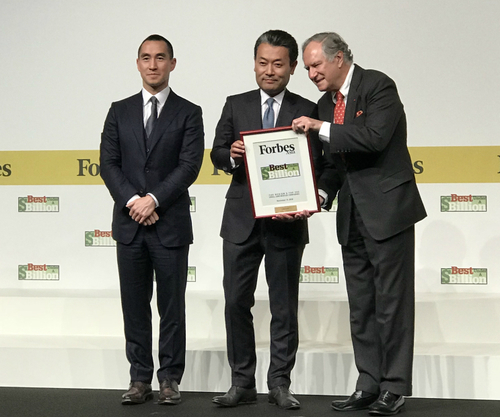 At a prestigious event at the Tokyo Palace Hotel on Monday 19th November, our Chairman and Representative Director, Takatsugu Suzuki proudly accepted the Forbes award for our parent company, en-Japan. 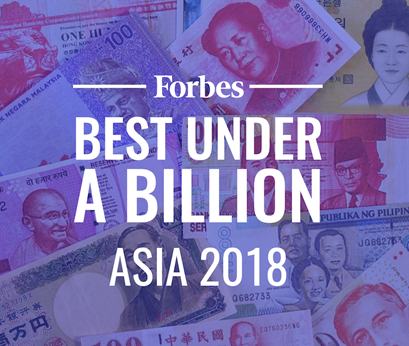 The 2018 Forbes ‘Asia's Best Under A Billion $’ list highlights 200 Asia-Pacific public companies with less than $1 billion in revenue and consistent top- and bottom-line growth. See the full list, sorted alphabetically, here. This year’s roster saw an average 62% growth in annual sales to generate a combined $45 billion, and netted $9 billion in profit. The markets rewarded them too. Their combined market value rose 22% to $254 billion this year; on average the stock price of these candidates grew 27%. Companies from China, Hong Kong and Taiwan account for over half of our list with 108 entries, up slightly from last year (100). Japan has 38 entries on the list with more than half returning from last year or making a comeback after a brief hiatus. Their success stands in contrast to the growing concern of the aging population there. Fifteen companies come from the general technology sector comprising hardware and software. Among the 12 in the business services industry, half operate solely online. 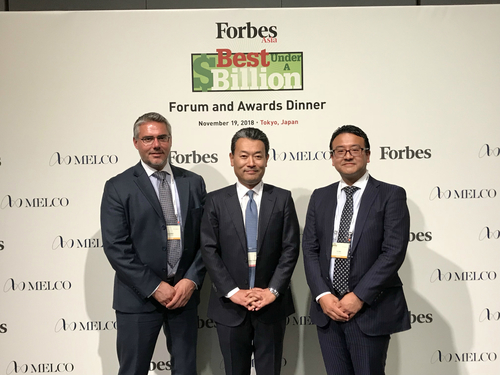 Four are capitalizing on the tight labor market through employment services, including comeback En-Japan. En-Japan first appeared on our list in 2008 but experienced a 50% drop in sales the next year. Acquisitions and expansion nipped at profits and earnings per share, keeping it out of contention the past decade. But sales over the last 3 years have averaged 28%. It now offers online job recruiting through outposts in Australia, China, India, Singapore, Thailand and Vietnam. Overall sales grew 25% last year to $367 million buoyed by a 29% increase in overseas sales. Pure technology companies make up 35% of the whole list. Another 10% of the list operates solely online, like Australia’s travel service Webjet which returns with $150 million in sales, one of five candidates from that continent. The stand-out theme is that Asia Pacific SMEs are embracing the digital economy and are a force for innovation. Combined, our Best Under A Billion companies employed over 245,000 people last year. Their average age is 19 years old.